Available Now! 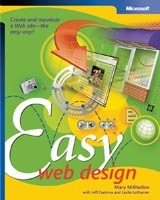 Easy Web Design, 3rd edition is the latest edition of our highly acclaimed Web site creation book. 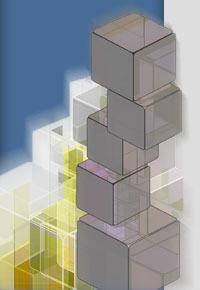 This full-color edition includes all new walkthroughs in Part Two, the latest tips from professionals in the field, and updated tech info covering topics such as XHTML, CSS, XML, and more! Welcome to CreationGuide.com, a site for you if you're a reader, developer, client, friend, relative, venture capitalist, or Web wanderer. This is also your companion Web site for three of our books, Easy Web Design, Faster Smarter Web Page Creation and Easy Web Page Creation by Mary Millhollon, Jeff Castrina, and Leslie Lothamer. Feel free to settle in, browse at your leisure, and return whenever you'd like. To send comments, questions or suggestions, please visit the feedback page. Remember to include your email address if you want to receive a response.